Our magazine, North West Business Insider, won some awards on Wednesday. For the second year running we got the award for Magazine Team of the Year. Pictured above are two chaps from Yorkshire Bank, me, Neil Tague, Jo Birtwistle and Lisa Miles. Earlier in the day our guys dominated the shortlist in the regional category at the BVCA Venture Capital Journalist of the Year awards with me, Lisa Miles and Wyn Jenkins having our names read out. The winning article was a piece I wrote earlier in the year What If...Manchester Airport was privatised. 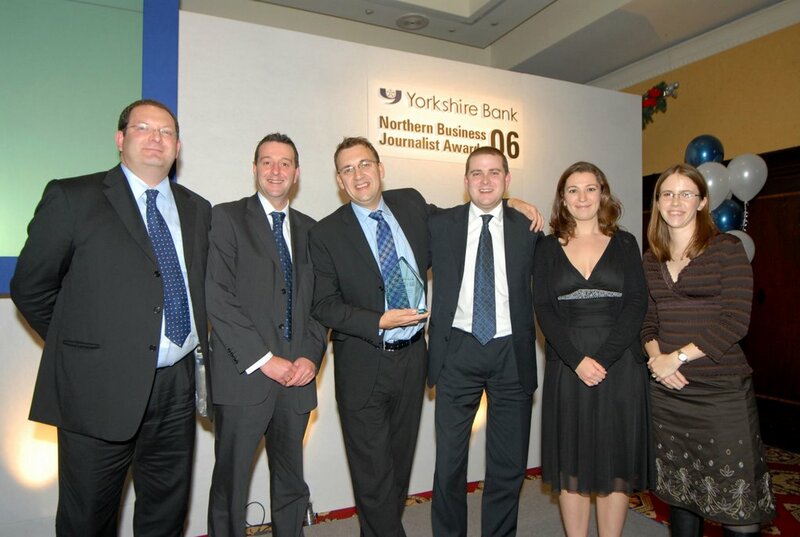 I then hot footed it to Leeds where the team got the award and I won Journalist of the Year too. So chuffed and very proud to work for such a great magazine where journalism is valued.